This entry was posted on May 4, 2013 at 9:33 AM and is filed under Avatar Related News with tags Advert, Avatar, Avatar Marketplace, Dashboard, Exclusive, FREE, Freebie, Gear, Items, New Release, Phone, Prop, Rare, Windows Phone 8 Avatar Prop, Windows8, Xbox, XBOX 360, XBOX Avatar, XBOX360. You can follow any responses to this entry through the RSS 2.0 feed. You can leave a response, or trackback from your own site. This is a trap-advertisement. I get thrown out of the ad each time I enter. Don’t fall for this ad. It’s a booby trap. I’ve seen the ad on the dashboard, but it won’t allow me to download the item. It keeps backing me out once I click the icon on the dashboard. 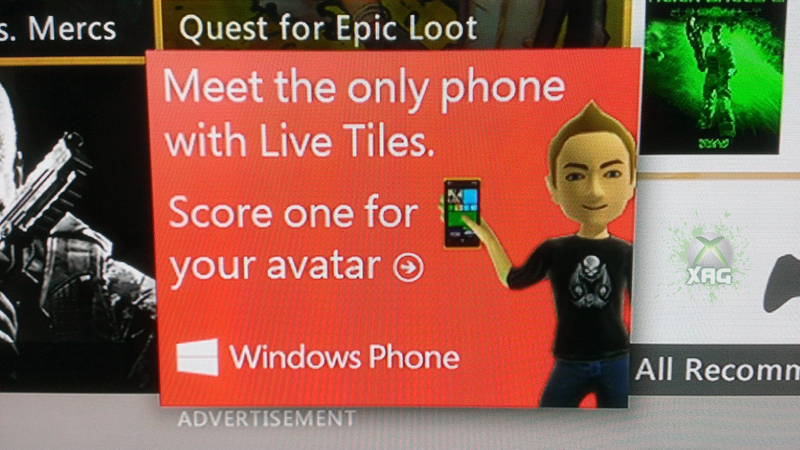 Plus, you need a Windows Phone 8 and a SmartGlass to access this ad. Don’t access this ad. You’ll be denied access. Nah didnt work in my area: Melbourne Australia 😦 is there any other way i can get it? 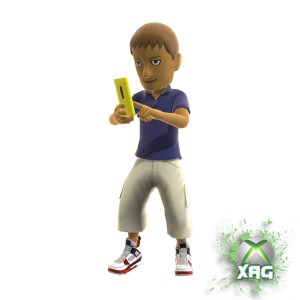 If you are having trouble activating this add to download the WP8 avatar prop, make sure you have opted in for Partner Marketing. You can do this by going to your privacy settings on the 360 dashboard and clicking OPT IN under Partner Marketing. If you OPT OUT, you will not be able to use this add. Hope this helps. I can confirm via my friend, whom does not have xbox smartglass and has opted in for partner marketing that he did obtain this freebie. Has anyone seen this still? I never found it. Try every day, never find it with a silver US account and the partner marketing option in. So partner marketing must be opted off? Thats what I did wrong. I haven’t seen this either. All I continue to see are the ATT versions of this, I know I will find it eventually. Claimed all other props. Hey, I live in Russia and I didn’t find that? I’ve tried pressing dashboard-y like 40 times. No ad! BUT maybe it’s becayse im on a us account in the uk.